This White Chocolate Silk Pie recipe is a creamy white chocolate version of a classic chocolate French silk pie. Dress it up with peppermint or cranberries for the holidays or eat it as is. It’s heavenly either way! So many times I’ve shared chocolate recipes and have gotten asked if it will work with white chocolate. And, well this one will, so it seemed like a perfect time to share. This White Chocolate Silk Pie recipe is a creamy, silky white chocolate version of our family’s favorite recipe for French silk pie, which I make for Thanksgiving and Christmas every year. 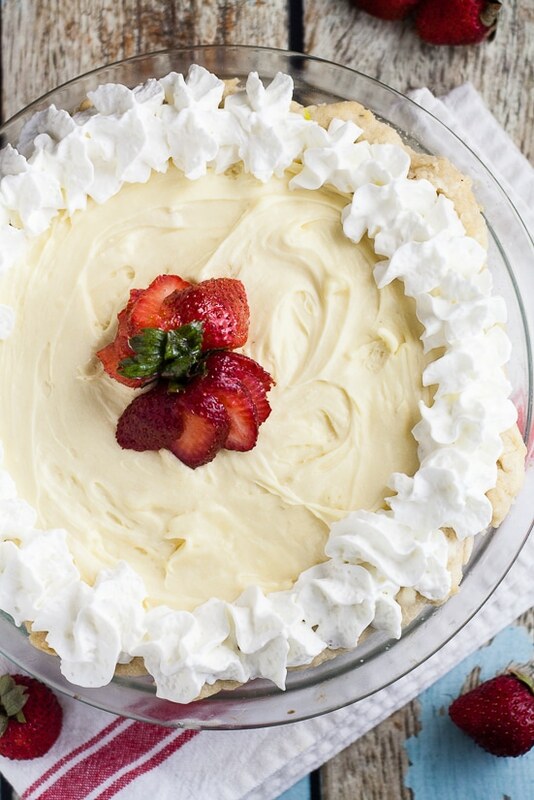 This White Chocolate Silk Pie is perfect for the holidays. I love that it looks like a blank slate and you can add anything to it to dress it up. New to the pie-making scene? Here are some helpful Pie Making Resources to make sure all your pies come out perfect and delicious! 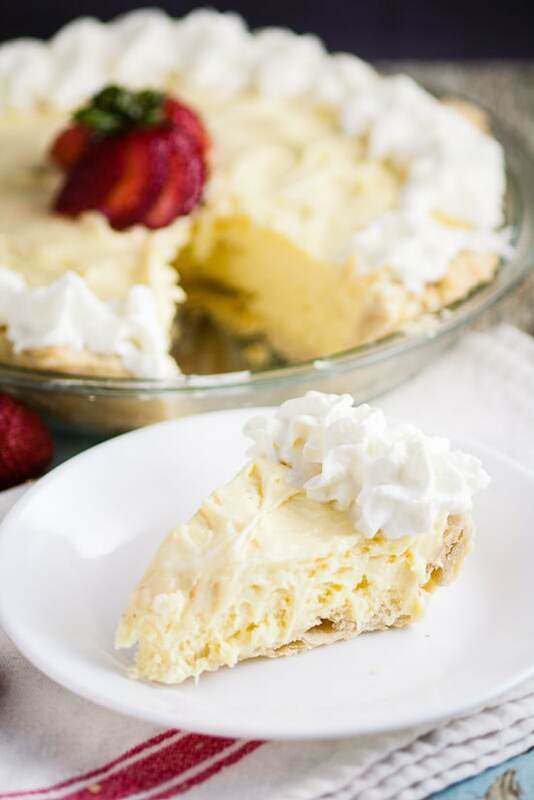 Easy No Fail Pie Crust Recipe – this easy pie crust recipe comes out perfect Every. Time. It’s my grandma’s recipe, and it’s never failed me yet! Rolling Out Pie Crust Tutorial – If rolling out your own homemade pie crust makes you nervous, stop right now! 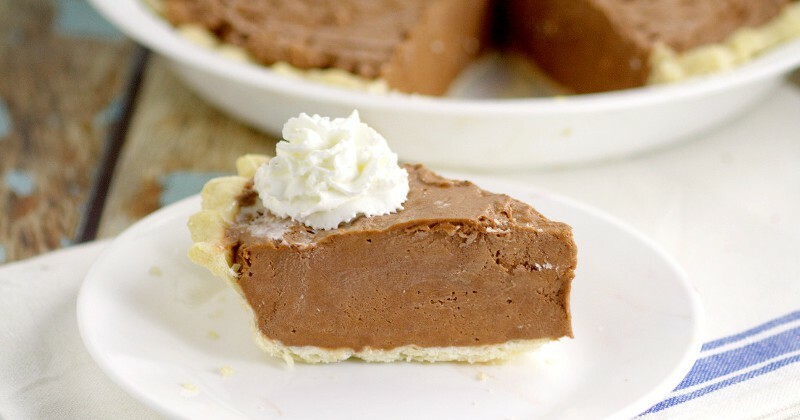 This easy step-by-step tutorial will tell you exactly what to do for a perfect pie crust! Pretty Ways to Finish Pie Crust Edges – There are so many ways to finish pie crust once you’re done rolling it out to make a truly special pie. Try some of these easy and fun ones this year! Must Have Pie Making Supplies – If you love pies, you need these tools so you can make them all the time at home! 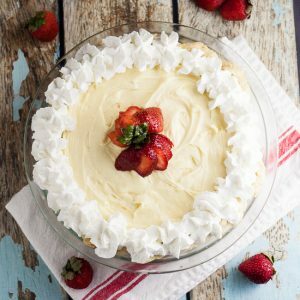 This White Chocolate Silk Pie recipe is a creamy white chocolate version of a classic chocolate French silk pie. Dress it up with peppermint or cranberries for the holidays or eat it as is. It's heavenly either way! In a large mixing bowl, cream together butter and sugar until light and fluffy. Add vanilla and chocolate, and beat again on high until combined. Add one egg at a time, beating on high for 3 minutes after adding each egg. Continue whisking the mixture until it's completely smooth and creamy. Scoop chocolate filling into the pie shell, and smooth out. 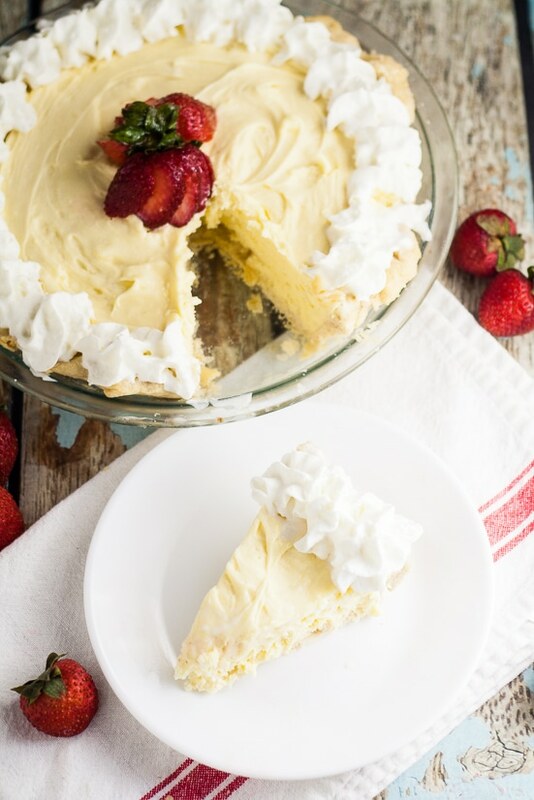 Did you like this White Chocolate Silk Pie recipe? Find more on my Desserts board on Pinterest! 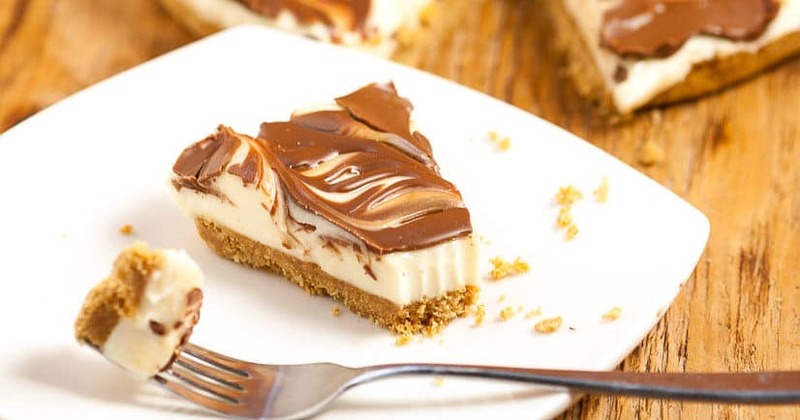 Oh my these all look decadent and delicious! Thanks for sharing on the What’s for Dinner Link up! This looks amazing! Yum! Thanks for linking up at the Creative Collection Link Party! Sorry it pulled the link I was visiting next. You can delete my comment. Thanks. I made this last night and I can’t wait to dig in! Awesome and easy recipe. I was thinking of trying to make a pumpkin version, would it mess up the consistency if I added a bit of pumpkin puree and spice at the same time as the white chocolate? How much would you use? So you don’t need to cook it since it calls for raw eggs? No, you don’t. It’s also best to keep it refrigerate and use pasteurized eggs if you’re very worried about the raw eggs. This sounds delicious! Looking for a white chocolate pie with peppermint for my daughter in law to serve at Christmas. 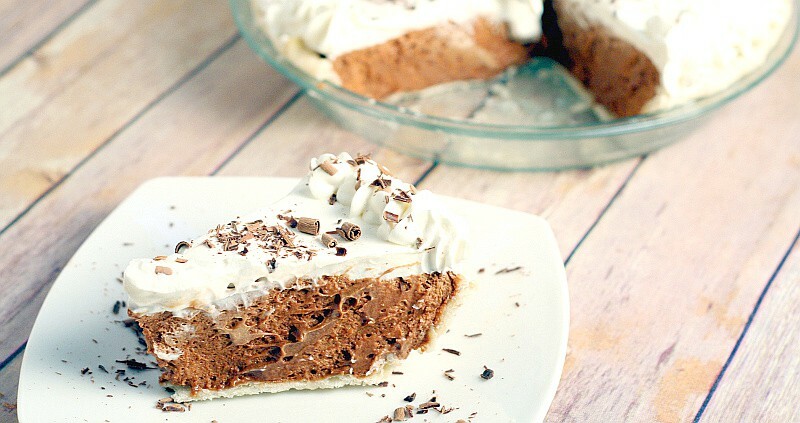 Have you ever added peppermint extract to the pie? If so, how much? Thanks! I have not, but I would guess based on the peppermint bark and peppermint fudge I make, you would add about 1 teaspoon of peppermint extract. You can also add it 1/2 teaspoon at a time until you think it’s peppermint-y enough (that’s what I usually do when I’m working with a new recipe). Hope that helps!